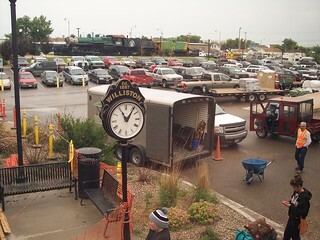 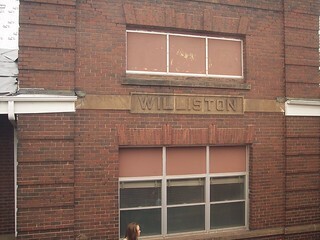 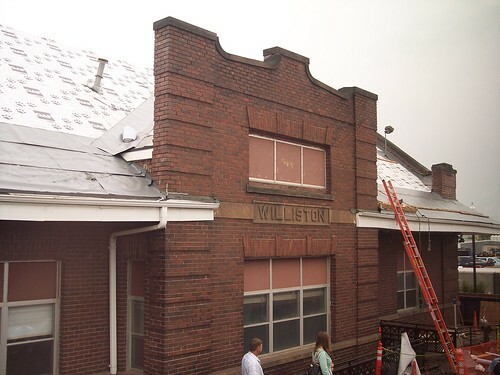 The Williston station gets a new roof. 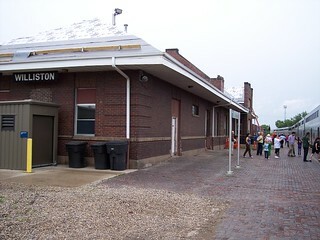 The station and brick platform. 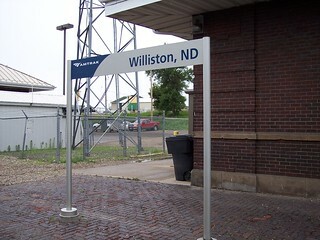 A closer look at a couple of station signs. 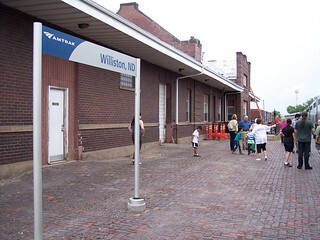 A steam locomotive sits on display in the distance.